The Seed EIS (SEIS) offers a chance to invest in Britain’s newest and most exciting companies – and benefit from valuable tax reliefs. What is the Seed EIS, and why could wealthy or sophisticated investors consider it? Please note: the SEIS invests in the smallest highest-risk companies. These investments are only for experienced investors, you should not invest money you cannot afford to lose. They are illiquid and capital is at risk. Tax rules can change and benefits depend on circumstances. This free factsheet is not advice or a personal recommendation, it simply explains the main facts, so you can decide for yourself. Ruth spent 18 years at Hargreaves Lansdown, 15 as Head of Retirement. She developed annuity and drawdown services and helped the firm take advantage of sweeping pension changes in 2015. 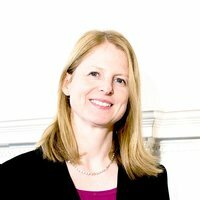 Ruth holds the Diploma in Regulated Financial Planning and a First Class Honours degree in German and Russian from the University of Nottingham.